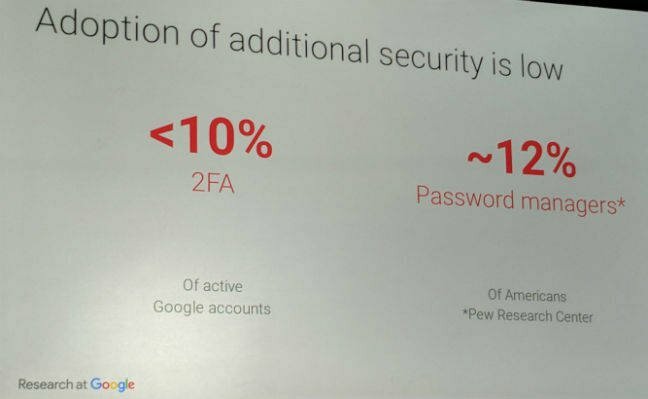 Usenix Enigma It has been nearly seven years since Google introduced two-factor authentication for Gmail accounts, but virtually no one is using it. We polled El Reg readers on Twitter just before we published this piece, asking: "What percentage, rounded to nearest integer, of Gmail users do you think use two-factor authentication?" Out of 838 followers who responded within the hour, 82 per cent correctly selected less than 10 per cent. The rest picked more than 10 per cent. Google has tried to make the whole process easier to use, but it seems netizens just can’t handle it. More than 10 per cent of those trying to use the defense mechanism had problems just inputting an access code sent via SMS. 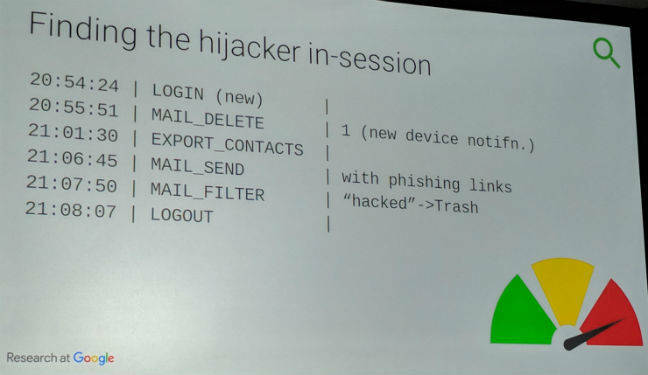 What if you don't have two-step authentication, and someone hijacks your account? Well, Google is on the look out for that, too.